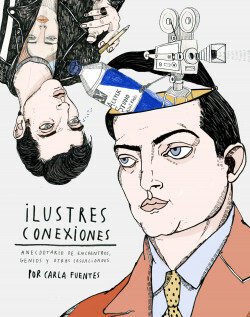 Carla Fuentes has selected the cultural characters, places and objects from the past few centuries that have been most significant to her, connecting them through an original game of anecdotes and cross-references. This web, woven with sensitivity and humour, features legendary figures such as Rita Hayworth, Kate Moss, Dalí and Oasis, as well as evocative places such as New York, Paris and Mexico. It is all relayed through the incredible visual language of one of the most famous illustrators on the contemporary scene. A personal atlas of culture in which drawing takes centre stage.